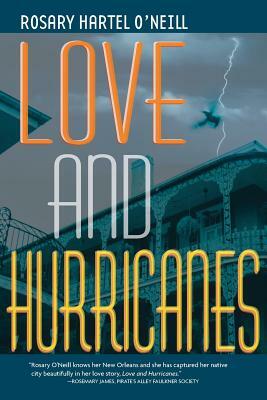 Love and Hurricanes​ ​is the saga of the Dubonnet family, featuring some of the most memorable characters in Louisiana literature; women and children grown fierce from fighting hurricanes inside and outside the family: beautiful, rebellious Kitten; her manchild, Bunky; her mother, the brutal matriarch, Irene; men like Rooster and Quint: proud, tortured and humorous in all their exotic wonderment. Kitten has to weigh her discontent with her destructive husband against the attraction she feels for her professor and her fear for her son's mental collapse. She and her son must reconcile with the meaning of family and tradition in the face of a train riding into a tornado and an estate confronted by rising water. Their lives, fragmented and harrowed by hurricanes and legacy, mesh to expose New Orleanians at their finest, searching for meaning in the face of uncontrollable violence.